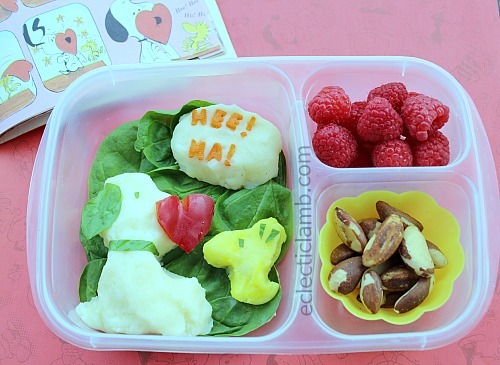 In honor of Charles Schulz birthday, I have a Snoopy themed bento. I made this for my 12 year old nephew for dinner at home. I am thankful that my nieces and nephews of any age enjoy eating my bento meals. I enjoy sharing my love of cute food with them. This also happens to be my 500th post! It is difficult to believe that I have created so many. I am thankful to my readers for encouraging me along the way. This entry was posted in Bento / Cute Food, Food and tagged bento, valentine. Bookmark the permalink. So cute! Congrats on 500 posts! Too cute and hey! Congratulations ! 500! This is so cute – I love the little Woodstock! Congratulations on the 500 posts too, I know how much work has gone into them!